THURSDAY, Dec. 4, 2014 (HealthDay News) -- Weight-loss surgery patients who don't take prescribed vitamin and mineral supplements could put themselves at risk for vision problems, a new study says. Digestive system changes caused by the surgery can reduce nutrient absorption from food, the researchers explain in the current issue of the journal Obesity Surgery. "There is a risk that bariatric surgery patients, who do not take the vitamin and mineral supplements prescribed to them, could develop eye-related complications because of nutrient deficiencies," study co-author Rui Azevedo Guerreiro, of the Lisbon Hospital Central in Portugal, said in a journal news release. "Such complications after bariatric surgery are not frequent, but if undetected, they can have devastating consequences for the patients," the researcher added. The study authors reviewed the available research and found that nutrient deficiencies after weight-loss surgery can lead to a wide range of eye conditions. They include night blindness, ulcers, scarring of and changes to the cornea, involuntary eye movement, paralysis of the eye muscles and dry eyes. A lower intake of vitamins A, E and B1 (thiamine) and copper are especially concerning because they help with the normal functioning of the eye and optic system, the researchers said. 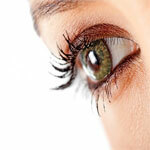 They found that vitamin A deficiency was most strongly linked to eye problems after weight-loss surgery. "The real prevalence of these complications is unknown but the rarity of clinical reports that link nutrient deficiency with eye-related complications could also mean that no one is looking for such problems," said co-author Rui Ribeiro in the news release.